Home » Capitalist misery » GET THE LEAD OUT! More horrors are being exposed daily by the corporate-owned news media regarding the criminal water poisoning of Flint, Mich., residents. Up until now the media have gone along with Republican Gov. Rick Snyder’s racist, reactionary program. The Times editorial board chose their words carefully. “Depraved indifference” is not just extreme indifference to human suffering or a psychopathic lack of empathy. It is also a legal term which — if allowed to be applied to Snyder and his lackeys — would remove from government immunity possible criminal charges of gross negligence and manslaughter. 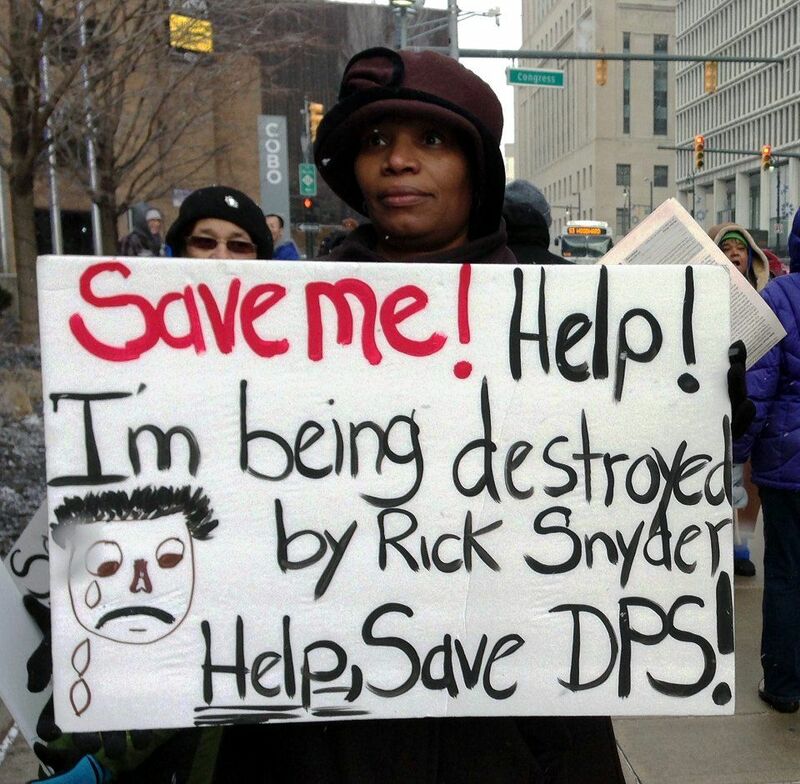 Many people in and outside of Flint are calling for Snyder’s resignation and arrest. The Democratic Party and liberal media, such as MSNBC’s Rachel Maddow, have put the sole blame for this mass health and humanitarian crisis on Snyder and his administration. They knew about the lead for over two years, yet ignored Flint residents’ pleas concerning their water. Of course, all people and organizations of good conscience rightly should condemn every act by all those involved in the state’s racist, anti-poor inaction and indifference toward the majority-Black city of Flint. Every single person responsible should be held criminally accountable. Every demand made by Flint residents should be met. The criminal banks and General Motors must pay reparations to the community for the life-altering health and other damages that families and individuals are facing. The impoverished African-American community bears the brunt of Flint’s water genocide. So do the Latino/a and other oppressed communities, along with poor whites. Thousands of children, many facing permanent brain damage, and their families face a lifetime medical and social crisis. The lead poisoning of the city’s water and its people is being condemned worldwide as a crime against humanity. “Flint” has become synonymous with what a capitalist government will allow that irreparably harms its own people. But why? Because of the moral turpitude of racist, reactionary Republicans? Because they are evil politicians who care nothing for the people they serve? That is probably very true, but that is not what caused the Fint water crisis. Under alternating Republican and Democratic governors, cities in Michigan have been in economic decline for almost 40 years. Since the auto industry’s restructuring, which began in 1979 with Chrysler, and then GM’s massive downsizing in the 1980s, Michigan lost hundreds of thousands of auto jobs. Flint, the former center of GM production and birthplace of the United Auto Workers union, was hit hard. GM shut most of its Flint plants from 1986 to 1988 and destroyed the city’s economic base. 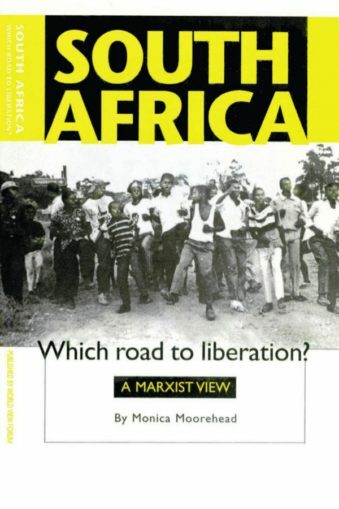 Workers World Party members organized a campaign then, demanding that Democratic Gov. James Blanchard declare both a state of emergency and a moratorium on plant closings. We organized a large rally at Harris Auditorium and a national conference on plant closings at the UAW home local of the Flint sit-down strikes. Activists invaded the National Governors Association meeting in Traverse City demanding the plant closings moratorium and set up a Tent City of the Unemployed, Underpaid and Homeless on Lansing’s Capitol grounds. But Gov. Blanchard quietly allowed the plant closings to move forward. Flint’s auto workforce was reduced from 80,000 union jobs to 8,000 today. After its population declined from 200,000 to 124,000 by the mid-2000s due to auto restructuring, Flint was then hit with a second corporate attack, this time by the big banks and financial institutions. Flint residents, like those in Detroit, were targeted by the racist banks for predatory subprime mortgage loans and refinancings, which led to massive home foreclosures. While Flint was running a budgetary surplus as late as 2006, some 24,000 additional residents were forced out of the city because of foreclosures. Detroit experienced 65,000 mortgage foreclosures in a two-year period and lost 240,000 residents. WWP activists spearheaded a campaign in 2007 when the housing crisis first manifested itself, demanding that Democratic Gov. Jennifer Granholm declare a state of emergency and place a moratorium on foreclosures and evictions, modeled on the 1930s moratorium that existed in Michigan and 25 other states during the Great Depression. We got a bill for a two-year moratorium introduced in the state legislature by then-State Sen. Hansen Clarke. The destruction caused by the banks’ predatory lending, on top of GM’s auto restructuring, was the final blow to Flint’s financial solvency, with the city facing a $40 million deficit by 2010. In 2012, Snyder appointed an emergency manager for Flint. Formerly called, and rightly so, emergency financial managers — emergency managers usurp elected officials’ powers. They have the legal authority to bypass the state constitution, abrogate union contracts, lay off and reduce municipal workers’ wages and benefits including pensions, cut and privatize city services, and take other actions against the residents and workers to ensure that the banks and financial institutions are paid. That is their primary and singular goal. It does not matter what the cost and devastation are to the population when this payback is carried out. With the African-American and Latino/a communities in Michigan and across the U.S. having suffered the most with corporate restructuring and victimization by the banks in the subprime mortgage debacle, it is no accident that every majority African-American city and most school boards in those cities have been placed under emergency management by successive governors, culminating with criminal Snyder. Not only are African Americans denied the democratic right to vote and govern, for which millions fought and many died, but emergency management dictates that oppressed communities and poor whites must suffer whatever is necessary so the banks get their money. Emergency managers are appointed to oversee capitalist austerity against the people. The same type of austerity is imposed on people in Greece and Spain, Flint and Detroit. The corporations pay nothing or get tax credits (or refunds! ), while the people starve or die to make sure the banks are paid. It is not a question of “balancing” a budget or “saving” money. It is about the most expedient way to give the most money to the big banks. The Flint crisis shows this in sickening detail. To save a meager $60,000, state officials refused to use anti-corrosive chemicals to prevent lead contamination in Flint’s water system, and then covered up their genocidal crime for over two years. The demands of Flint activists must be met. But it is critical to also place demands on GM and the banks, who have been silent in offering aid — even while an outpouring of solidarity and generosity has been displayed by workers, community activists and entertainers across the U.S. and beyond. GM, garnering big profits, should repay at least $4 billion to Flint, and the banks should contribute at least $2 billion more to rebuild Flint’s infrastructure and housing stock, relocate residents and pay for the long-term health care and education needs of Flint’s 8,000 lead-poisoned children. Activists are planning a demonstration outside General Motors world headquarters in downtown Detroit to demand the corporation be held accountable for its role in the destruction of Flint. See moratorium-mi.org for details.